Reminder: Tell Us Where There’s Snow! 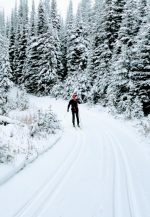 FasterSkier contributor Gerry Furseth recently asked a few top European World Cup skiers about their favourite places to race internationally. Of course, there's some bias (since the interviews were done in Canmore), but several athletes didn't hesitate to reveal their top picks.